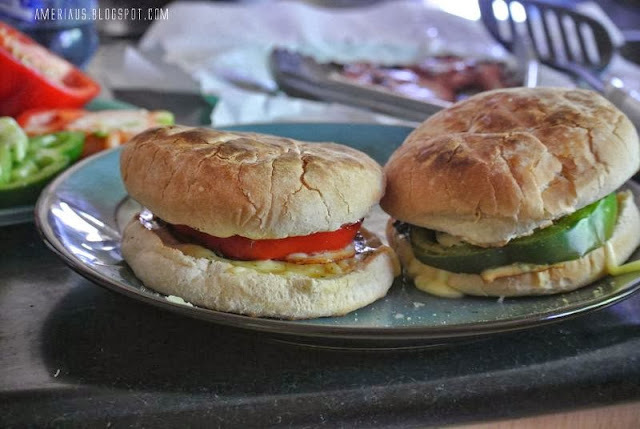 We were experimenting a bit in the kitchen one morning and created these delicious breakfast sandwiches. I don't really get into breakfast cooking but I might start... I usually opt for the standard bacon, eggs and toast. Heat a tbsp of oil in a skillet. Place a slice of bell pepper in the skillet and let it brown slightly on one side before flipping it. Crack an egg in the center of the bell pepper and allow it to cook until the egg white is completely cooked & the bell pepper is tender. Sauté some mushroom in the remaining oil. 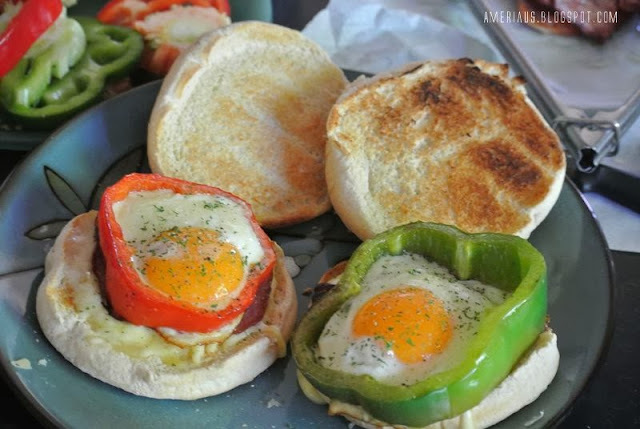 Sprinkle shredded cheese on your bun ( you can microwave to melt the cheese or if you want your sandwich toasted place it in a lightly greased skillet) - Place bacon on top of the cheese, mushroom, and finally your bell pepper- egg. Serve and enjoy your colorful breakie! Seafood time: Fish Tacos #Recipe #food!